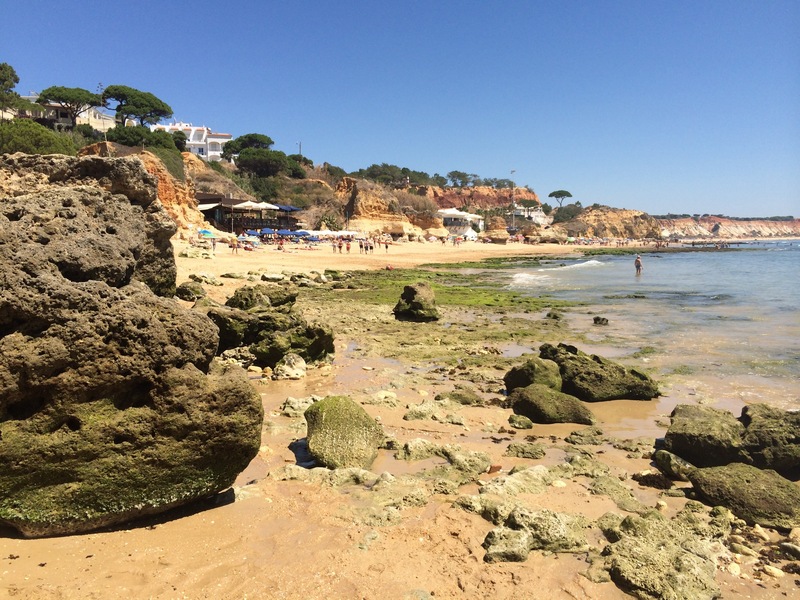 The Algarve may not be the most exciting destination in the Med: golf courses, white villas with swimming pools, sandy beaches – it’s all perfectly pleasant but, for me at least, it lacks a bit of soul. 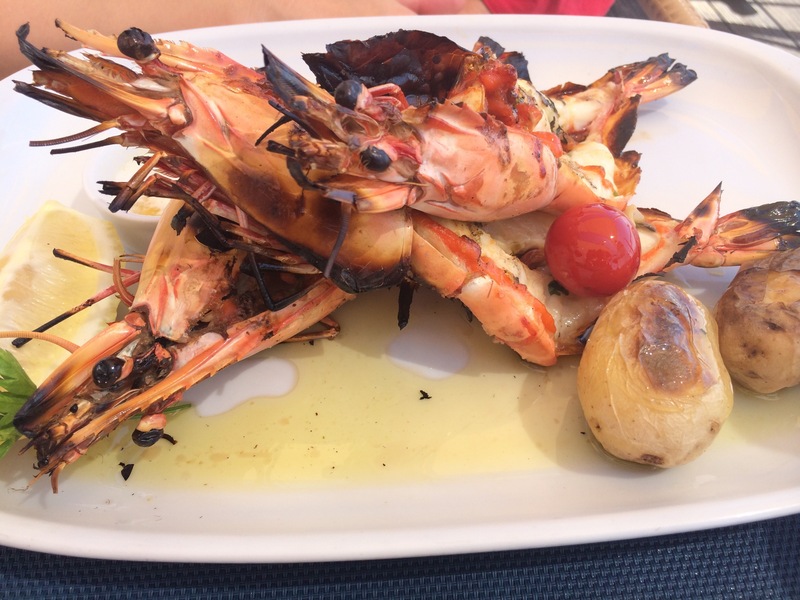 It’s without the vibrant culture of Spain, the mouth-watering cuisine of Italy, the soporific informality of Greece. So why was it, then, that my family and I enjoyed a pretty-much perfect holiday there this summer? Here’s why. We weren’t looking for excitement. In fact, excitement was the last thing we wanted. With an 8 week old baby, and two active older siblings (aged 6 and 3), we were looking for Easy. We wanted guaranteed sun but a short flight and no jet lag. We wanted to be able to walk everywhere – to the beach, to the pool, to supplies of good food and drink. We wanted a separate bedroom for our two older kids (it was bad enough being disturbed by the baby at night, let alone them snuffling and shuffling about in the corner). We wanted a kitchen, but with someone to clean up after us (self-catering villas were out!). And, above all, we wanted childcare – at the very least, a few hours a day for my wife and I to catch up on sleep, read a book and enjoy some uninterrupted time with our newborn. 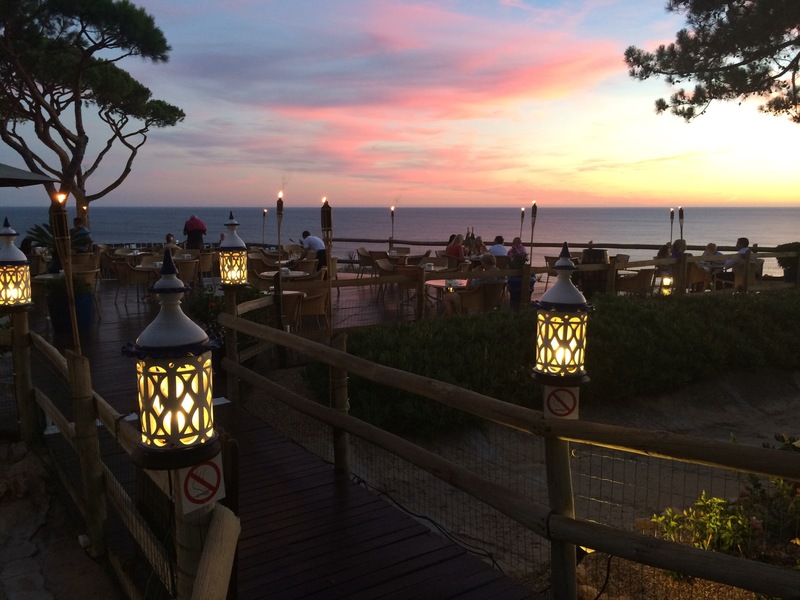 On paper, Sheraton’s Pine Cliffs resort, located just outside Albufeira about 25 minutes drive from the airport, offered all the above and more. We were led there initially by the presence of a Scott Dunn Explorers Club which I’d been keen to try for a long time based on glowing reviews. 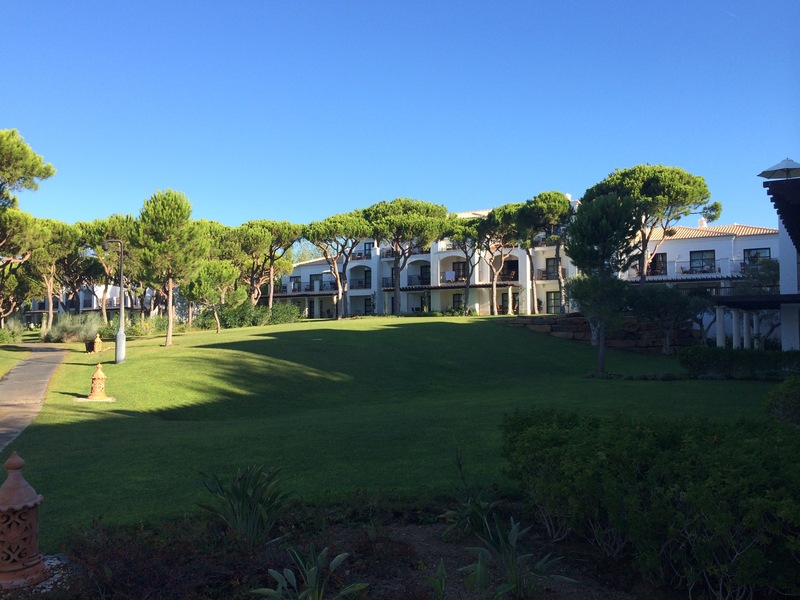 What’s more, the accommodation set-up of the Residences suited us perfectly: 2 bedroom ground-floor apartments, with kitchen and living room, opening out on to a terrace and huge manicured lawns for the children to run about on. No inter-connecting rooms or kids-on-sofabeds; and all the necessary kit to whip up emergency bowls of pasta and corn flakes. So, boxes ticked, we booked our trip for late August confident that, functionally at least, it would deliver. And, functionally, I can happily tell you we were not disappointed. 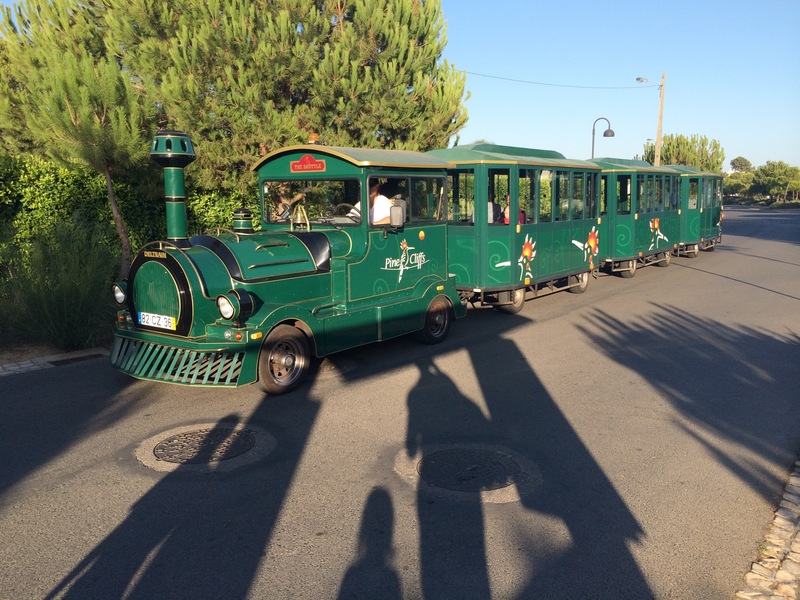 First up, the sun shone and shone and shone – in fact, we barely saw a cloud for the whole 10 days we were there. While a couple of days the temperature topped 35 degrees, most of the time it was comfortable, with a persistent breeze taking the edge off the heat. The resort itself is massive and takes some familiarisation; but once you get your bearings, you appreciate the space and variety of corners to base yourself. Between the seven pools, the beach, the beautiful, shady cliff top (with loungers scattered haphazardly amongst the pines) and the various bars and restaurants, we never felt claustrophobic or bored. In fact, as twitchy people who normally like to explore a destination and ‘get out and about’, we found we submitted all too easily to the charms of the resort compound. Getting out meant getting far, far too organised. The accommodation was bigger, and better, than I expected. There was more than enough space for the five of us; the kitchen was particularly well equipped and there was even a laundry room (I know, it’s a holiday, but unbelievably useful with potty-training kids and babies prone to leaky nappies). Our bed – a superking – was one of the most comfortable hotel beds I’d ever slept in. And you could definitely swing a cat in the bathrooms (I particularly liked the seat in the separate walk-in shower). My only grumbles were the lack of a DVD player (you can rent them, but at an extortionate cost); no drying rack (my pet hate at all luxury hotels – where are you supposed to put the wet swimming costumes? ); and no free wi-fi – you could only get this in the reception area, otherwise it was a chargeable extra. I am also pleased to report that the Explorers club delivered beyond our, already high, expectations. Leo and Genevieve both loved it and settled in immediately. Leo, our eldest, particularly seemed to relish the independence and sociability the club offered. A unique feature is the off-site trips – the rangers take them on exciting days out to theme parks, water parks and zoos, which I’ve never known kids clubs to do anywhere else. Never in a million years were we going to any of these places with baby Rufus, so being in the club afforded Leo experiences he wouldn’t otherwise have had – and which will always be special to him. 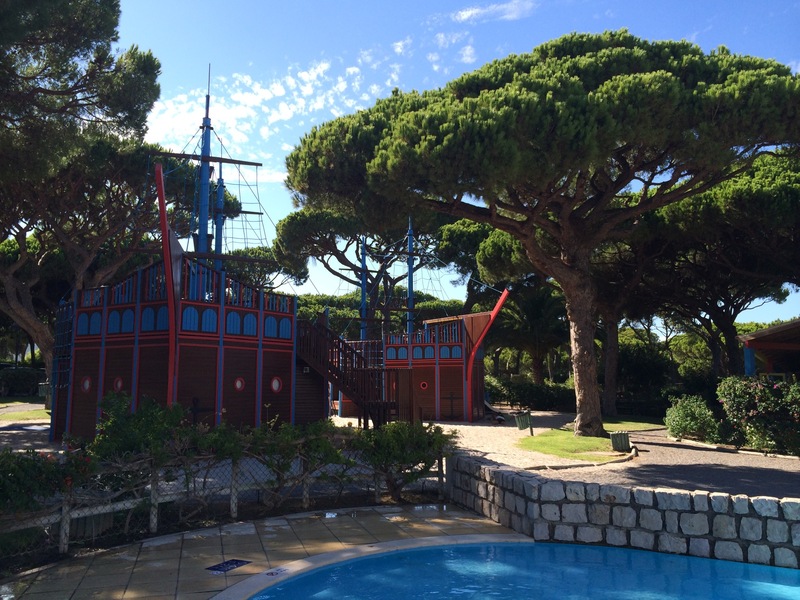 What’s more, the sheer range of facilities at the club’s disposal at Pine Cliffs (tennis courts, football pitch, a 9-hole golf course and 2 pirate ships!) enables the children to try a host of activities they’d never normally do at home – or which, if done separately, would cost an arm and a leg. Even our 3 year old had a tennis lesson, which would have been hilarious to watch I’m sure. So functionally, the holiday was pretty much perfect – tick after tick after tick. The surprise is that, now I have actually returned, I have developed more of an affection for the place than I ever thought possible. Not because, as a destination, it got under my skin. It didn’t really – I still prefer Spain; and Italy; and Greece. But because of the feelings, and memories, that materialise when things just go right. Particular moments I will treasure: Leo, Genevieve and I having a whole pool to ourselves one sunny evening; long lunches at the Beach Club, supping huge glasses of sangria and enjoying the most delicious prawns in the world; a rare evening out with my wife (and baby), quaffing champagne and chowing on sushi at the exceptional Japanese restaurant, Yakuza; my first time playing tennis in 15 years; and warm nights spent in peace on our terrace, drinking vinho verde, whilst our babies all slept soundly – tired, content and eagerly anticipating the next sunny, fun-filled day. 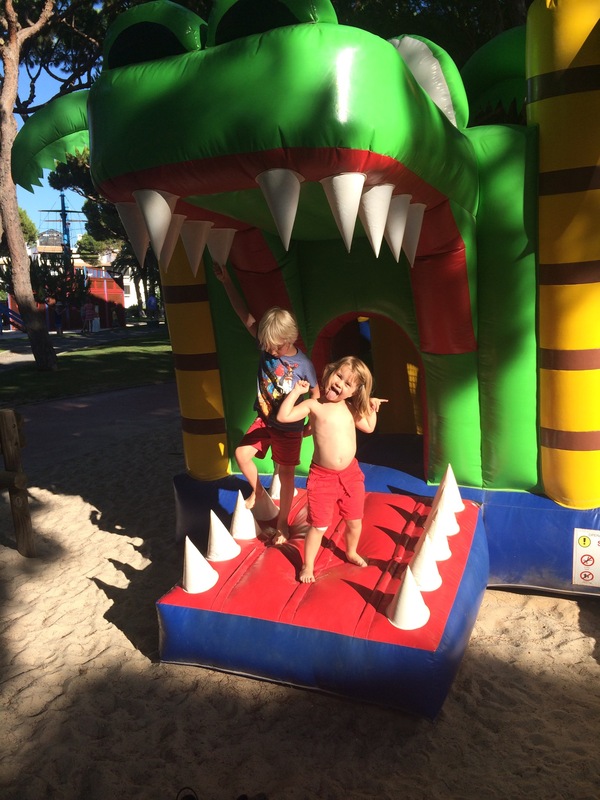 This entry was posted in Accommodation reviews, Europe and tagged Algarve with kids, Explorers kids clubs, Pine Cliffs, Pine Cliffs resort, Scott Dunn. Bookmark the permalink. Loved this review. It really took me back to being there and YES why don’t they have drying racks?! I commented on this to my husband while we were there. I’d be so interested to try the Explorers Club if we go again. I have a real thing about drying racks so glad you’re in my camp on that one! !